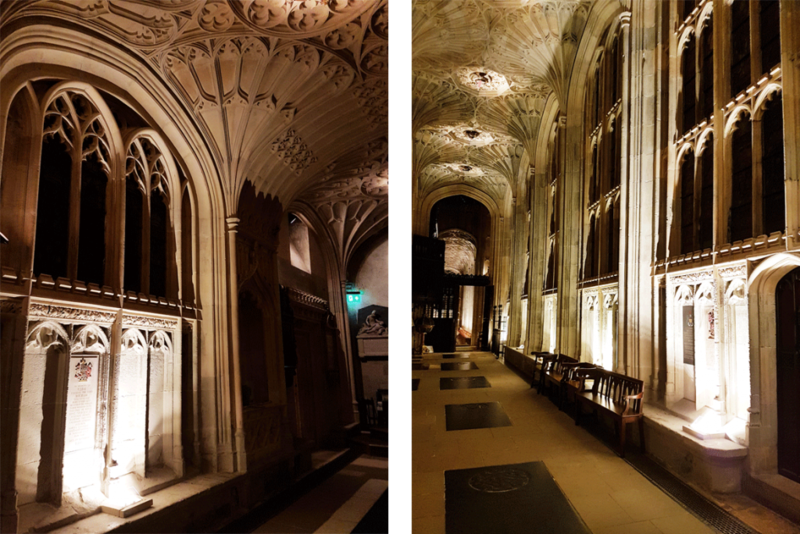 We love getting to know our incredible local businesses, and as such we decided to pay our friends over at LED Zip a house call, to find out more about their amazing recent project; the lighting of St. George’s Chapel—otherwise known as the host venue for the up-coming royal wedding! We spoke with Nick Bainton, Owner of LED Zip to find out exactly what went into this exciting project. So, how did you end up working on one of the most prestigious churches in all of England? It all spurred from a project five years or so ago, when we were approached by the Royal’s Lighting Director to come up with a solution to some tricky outdoor lighting projects. 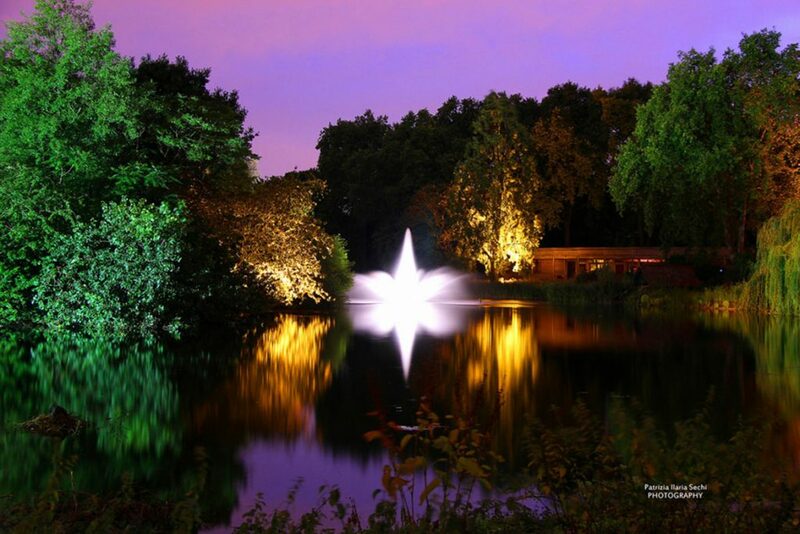 Fountains, gardens, important monuments…things that the general public were coming into contact with, and therefore needed a special attention and an ultra effective lighting. That led to a project within Windsor Castle, lighting the china cabinets in one of their grand halls. Anyway, one day the lighting designer approached me with another, as he put it “little job” and the rest is history. Amazing, what was the official brief? The castle famously suffered from a huge fire back in 1992, where thousands of priceless artifacts were lost, thanks to an overheated spotlight and flammable curtains. Since then, the designers have been trying to figure out a way to replace the powerful Halogen lamps needed to efficiently light the castle, with a safer—and equally cost effective—alternative. The problem in the church was a set of floodlights illuminating the apses either side of the aisle, as some visitors had been throwing their coats on them and causing a fire risk due to their extreme heat. So we had to come up with something of equal power that produced less heat. After trialling several different prototypes, we came up with a bespoke unit (the Monoflood 400) that was more powerful, more efficient and most importantly, was no longer a fire risk. The unit is also impressively small in size, the likes of which are often used in domestic gardens, with our innovative technologies we were able to install it here and also to light the war memorial at Sturminster Newton. The whole process had to be checked and approved by the Lighting Director, then National Heritage and members of the Royal Family, quite possibly even the Queen herself! Or at least one of the Dukes, but that part was all hush hush to us. Phenomenal! 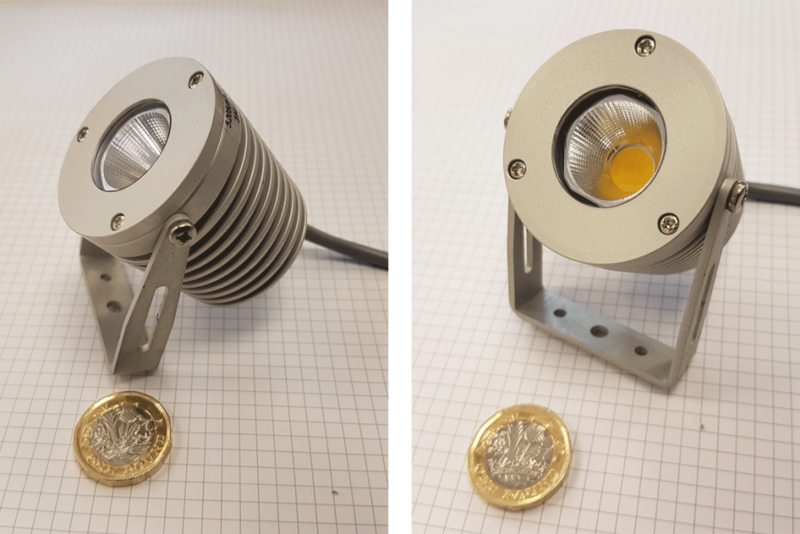 We’ve replaced the halogen old lights, which were emitting 3000 lumens, and replaced it with the new bespoke unit, which cranked up the output to an incredible 4000 lumens. Meanwhile the chapel’s energy bills took a significant decrease, going from an output of 250 watts per light to an incredible 27 watts per light. 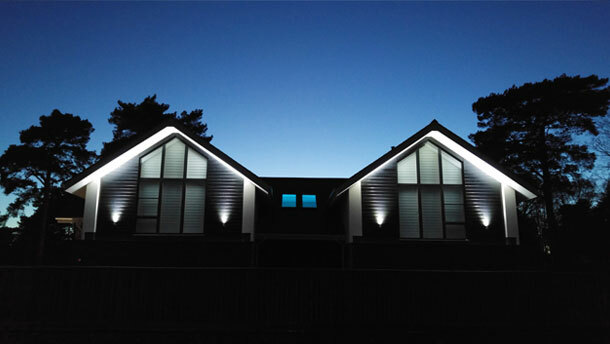 It goes to show, whether you’re lighting a castle or a 2-bed property on the South Coast, LEDs make for some serious savings on your energy bills! We’re pleased to announced that all parties have approved the works done by us and have requested that we work on other aspects of the chapel too, and all in time for the next big Royal Wedding. I expect you’ll definitely be watching it later this year then? Absolutely, I’ll be looking out for our team’s handy work! Aside for the power, what was so special about these custom-made units? Every singe light that now resides in the chapel was assembled right here in our showroom, by the skillful hands of our truly amazing team—not only that, but nearly all of the materials used to make it were sourced from around the local area too. That’s amazing. So what’s next? Well, we’re currently doing up the showroom so that we can really show off everything we do, from the outdoor range right through to our kitchen and bathroom assortment, and everything in between. We want customers to walk in the door confident, and maybe even a little excited, that they will receive the same quality, longevity and attention to detail with their LED purchases, as our very own Royal Family now has.